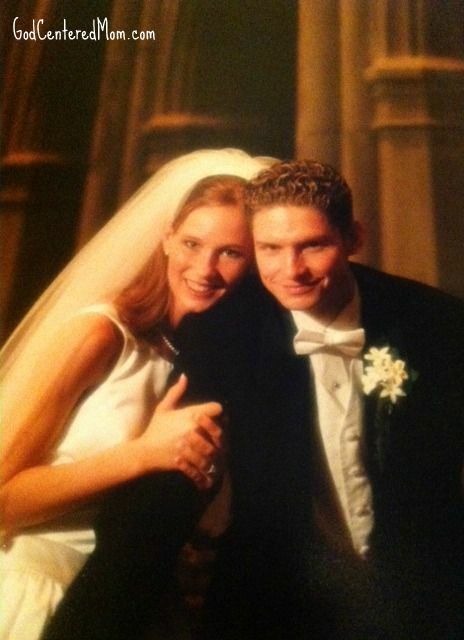 Thirteen years ago we said “I do”. Half of that time we had no children in our home and exactly half of that time we have been parents.We realized thirteen years from now we will have 4 teenage boys (pray for us!). On this blog I spend a lot of time talking about being God-centered in my parenting. Humbling myself so I can serve my family. What I have neglected to mention is the first relationship that made me aware of how self-centered I am. 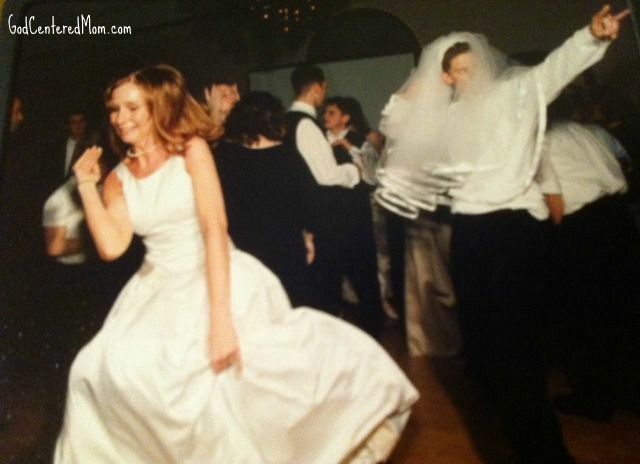 I got married right before I turned twenty-two. A mere baby. Soon after getting married I moved to a new city, with no job & no friends. My husband traveled 3 weeks out of the month and I was lonely. Our first year of marriage was humbling. I received a degree in biology/pre-medicine. I hoped to attend medical school and have all my emotional & social needs met by my husband. Instead I found myself alone most of the time, with no planned career path. Pride & selfishness cause me to fight for “my way”, when in reality we should be working together as a team for “our way.” If my husband offers healthy criticism, I shrink or become defensive. Instead I should recognize that he is on my team and wanting the best for me. Wouldn’t I rather hear about something I need to work on from my husband who loves me, than from a boss/co-worker/stranger? We like to have fun. We love to laugh. The times in our marriage that we have struggled the most is when we have neglected our “fun side.” When we allow life stress & obligations to force out fun, our relationship suffers. Now with 4 boys we intentionally set aside time for fun. Whether it’s watching a favorite comedian, reading hilarious auto-corrected texts, dancing to 80’s music after dinner or singing karaoke, we find some way to put laughter into our lives. Fortunately our boys provide a lot of laughter and fun (when they aren’t being frustrating and disobedient). 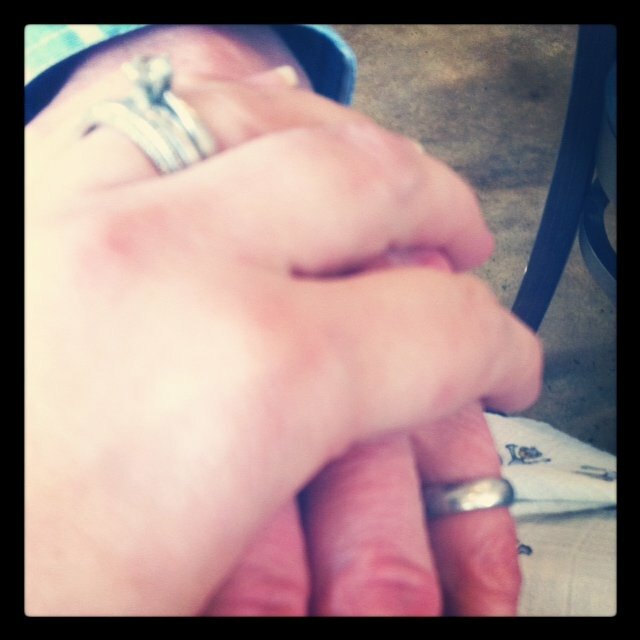 About 5 years ago my husband began the habit of making sure we prayed together each morning before he left for work. They aren’t long drawn-out prayers. We simply take the time to pray for each other’s days or what is on our hearts at the time. I love to know how I can continue to pray for him throughout the day. I also know what to ask him about when he comes home from work. Most importantly our boys see us hugging each other each morning & making God a priority. 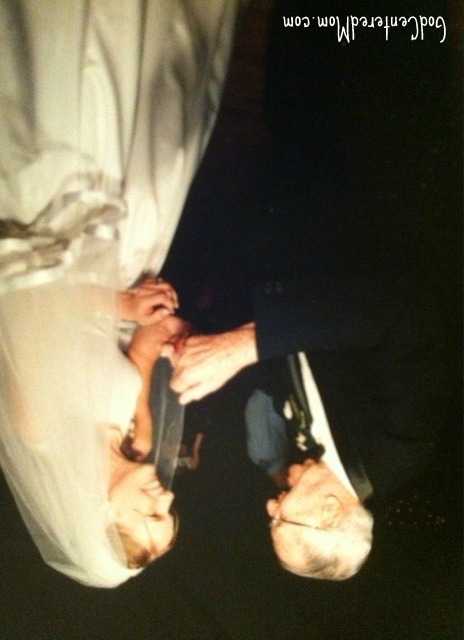 Dancing with my husband’s grandfather, who turned 95 on our wedding day. 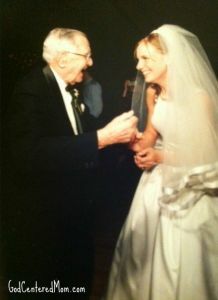 He was a godly man of prayer, who wore out the knees on his pajamas praying for each family member every day. Once kids entered our lives we found our communication getting worse and worse. By the time our 2nd child was 6 months old we had a “come to Jesus” moment. I had made the kids too much of a priority and my connection to the outside world a second priority (Facebook/blogging/etc). Unfortunately my husband was getting the leftovers. After recognizing how far off-base we had gone, we set certain “connection goals”. One of these was Couch Time. After the kids were in bed & dinner dishes were cleaned, we met each other on the couch for at least 10 minutes. Often times it lasted longer. Conversations at dinner were too difficult. Conversation during the day were impossible. So this was our time to connect. Soon it became a habit. Timing is everything when it comes to communication. Choosing the right time to bring up an issue is essential to the success of that conversation & solution. Not overreacting in the heat of the moment. Instead, making sure to step back and evaluate what you really feel & want to communicate. A friend also gave us the advice to never discuss important matters after 10 o’clock at night. His rationale was that you are too emotional at that time of night and it will not be a productive conversation. That’s a glimpse into what God’s taught us thus far. I’m sure the next thirteen years parenting these four boys, we are going to learn sooooo much more! What lesson or tip can you share from your marriage? These tips are wonderful, thanks so much for sharing. My husband and I have been married 3 1/2 years, and we have a 2-year-old son and another son on the way. I must say that our marriage did not become challenging until after the first kiddo arrived. It was then that I was really challenged to notice my selfishness. It’s such a difficult thing to realize and work on, yet so, SO important for a healthy marriage and family life. Congratulations on 13 years and here’s to many many more! Love it. This is great stuff. I want to share this with every young (and old) couple I know. I am arriving up on 20 years of marriage now, with 5 children.1 thing I’ve discovered is to set my default reaction to conflict to “whatever keeps the door of communicating open”.